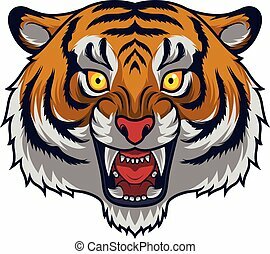 Angry tiger. 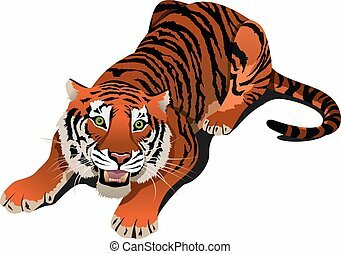 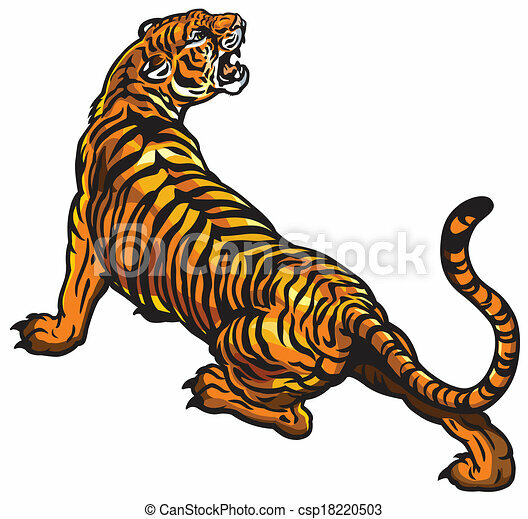 Tiger isolated on white background. 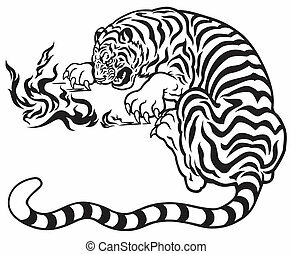 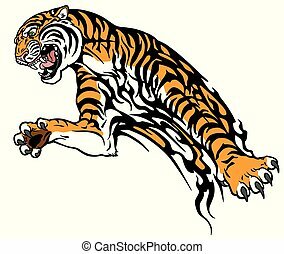 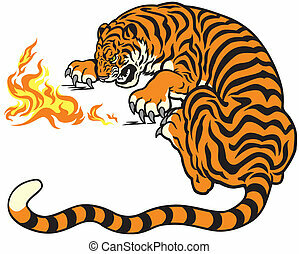 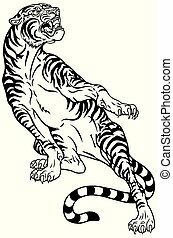 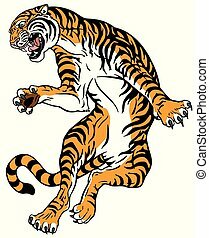 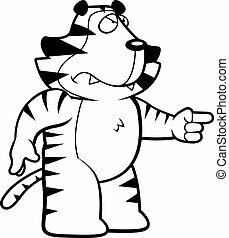 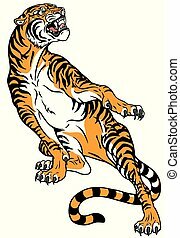 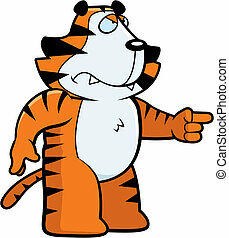 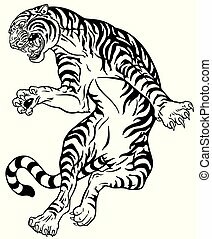 A cartoon tiger looking angry and pointing. 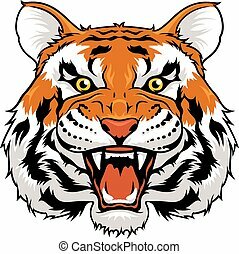 An angry Tiger Face. 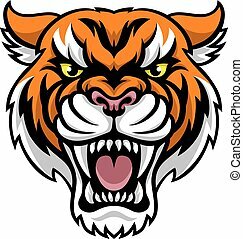 Angry face expression showing canine. 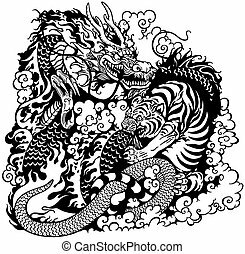 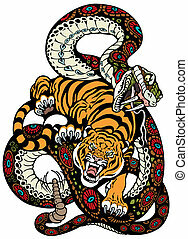 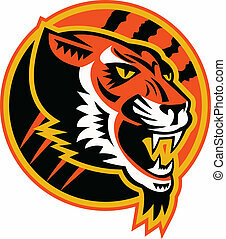 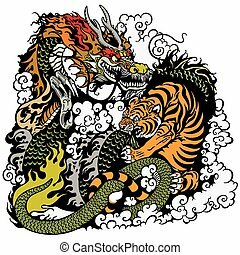 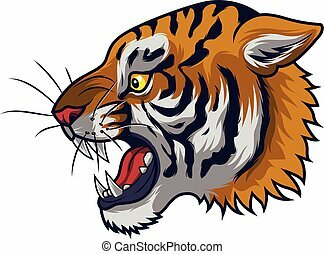 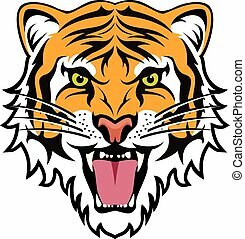 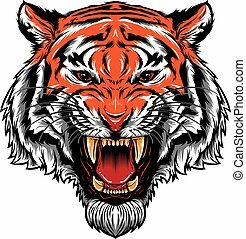 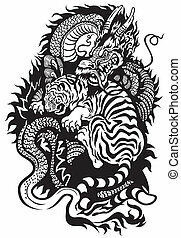 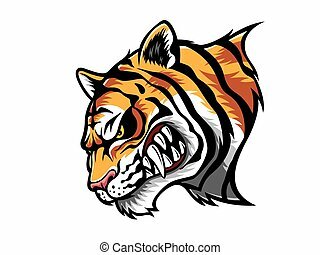 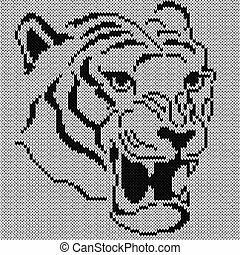 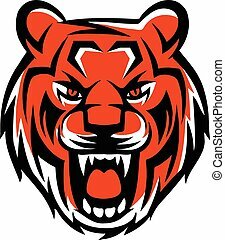 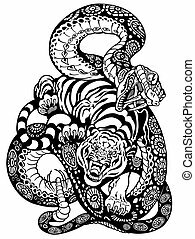 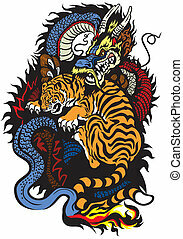 Illustration of an angry tiger head viewed from side set inside oval done in retro style.